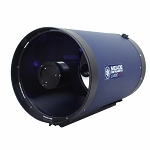 Engineered to deliver peak performance, Meade Instruments' LX200-ACF 203mm f/10 GoTo Cassegrain Telescope combines multiple technologies to produce distortion-free high-contrast images with true color rendition across the entire flat field of view. The scope's performance begins with the aplanatic Advanced Coma-Free (ACF) optical system that produces a flat field of view with reduced astigmatism and zero diffraction. A low-expansion borosilicate primary mirror further reduces distortion due to temperature fluctuation, and the Schott Borofloat glass corrector plate aligns the incoming light waves to correct spherical and chromatic aberrations. Meade then fully multi-coats all optical surfaces with their proprietary Ultra High-Transmission Coatings (UTHC), which increase light transmission, further improves color fidelity, and boosts contrast. For long-exposure astrophotography or long-duration observation sessions, the LX200 boasts a primary mirror lock to completely cancel any residual image shift due to mirror movement. 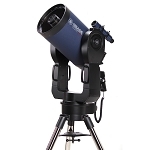 Advanced optical properties are just the start of the technologies that this GoTo telescope boasts. 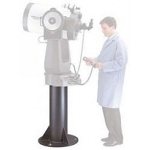 The OTA is attached to a dual-tine alt-az fork mount which has dual-axis micro motors used to find and track objects with virtually zero vibrations. Meade further outfitted it with a built-in 16-channel GPS receiver and time chip, so the mount can automatically determine the current date, time, and its location within minutes of being turned on. The information is sent to the AutoStar II controller which uses an electromagnetic sensor to determine True North and can automatically align the scope with minimal user interface. During long observation or exposure imaging sessions, the controller continuously checks its orientation and tracking and adjusts it as needed, sending the data to the Smart Mount and SmartDrive systems which learns the tracking errors and adjusts itself for the future. The brain of the mount is Meade's iconic AutoStar II computer controller. This hand-held unit has an internal database of over 145,000 objects from the Moon and planets, to galaxies, nebulae, and constellations. It can calculate future events like sunrises and meteor showers, and predict solar and lunar eclipses for the next 100 years. Once set up and running, the AutoStar II can take you on guided tours of the best objects visible above, including audio tours that can be heard from the internal speaker. 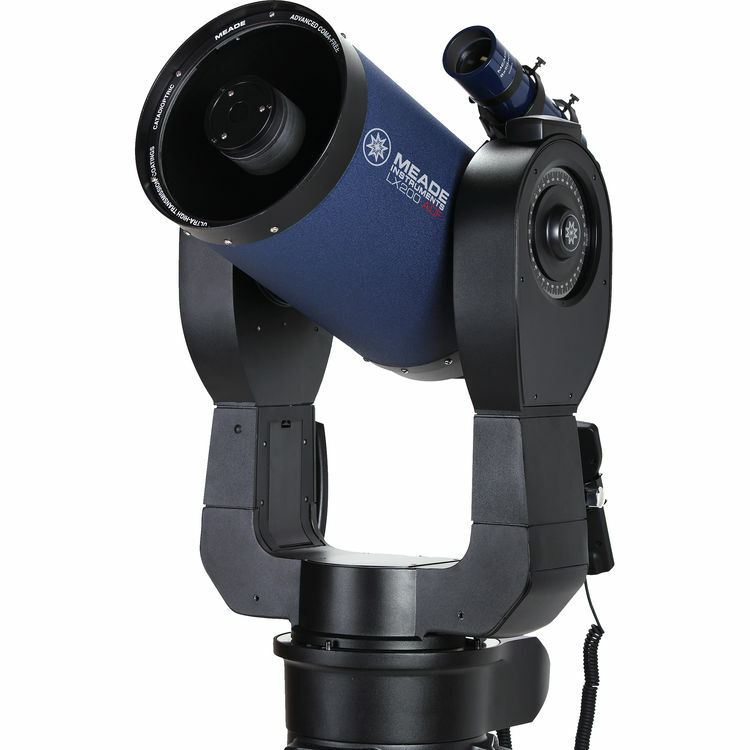 To get new users started, Meade includes a 1.25" visual back for the OTA and a 26mm eyepiece that yields 77x magnification. 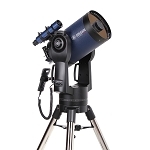 For alignment and manual star-hopping navigation, an 8x50 finderscope and mounting bracket are also included. This finderscope has an illuminated aiming reticle with variable-intensity to protect night-adjusted vision. 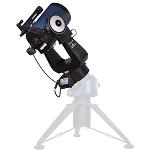 This version of the LX200-ACF is offered here with just the mount and OTA for those who already have a sturdy and reliable tripod or permanent pier that can carry its 62-pound weight plus any accessories or imaging systems that may be used with it.